Tired of handing your customers a stack of 4x6s as their proofs? There has to be a better way of doing this, right? Well good news! f/32 is now offering 4×6 and 5×5 proof books! At the request of J. Davis Photography we have developed a simple and efficient way to present proofs to your clients! Just send us the images and we will take care of the rest! What does “the rest” include? It includes your choice of a white border with a black stroke or a black border with a white stroke, a black or white spiral comb, a clear cover and a black backing. Send your 4x6s in the order you want them in the book and don’t forget your logo! Be sure to e-mail print@f32photo.com or call 865.588.8070 if you have any questions! Is there something that we don’t currently offer that you would like to see in the future? Let us know! f/32 is always interested in expanding to meet the needs of our customers! These proofbooks are proof! A girl begins dreaming about her wedding from a very early age, everything must be perfect, the location, the dress and of course, the groom. 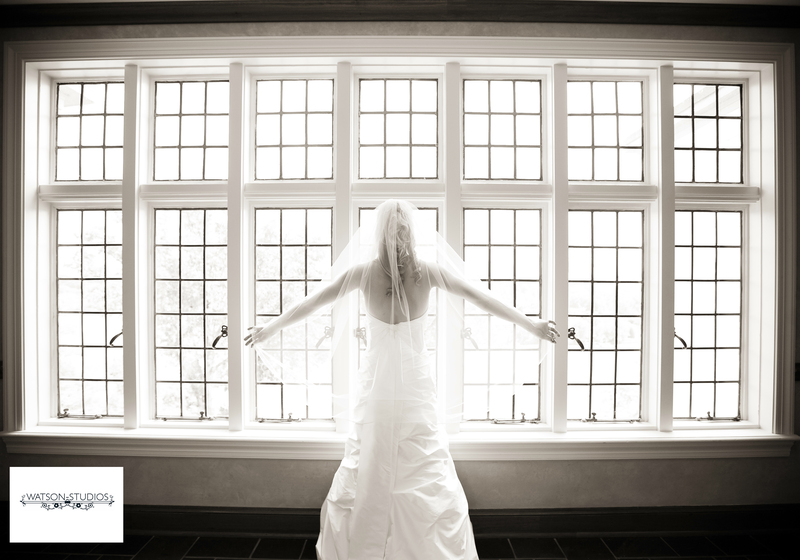 As the years progress and the time comes to turn this dream into a reality the bride starts to think about all the other things that make this day so special. This is when one of the most important choices are made. Who will perfectly capture all the events of your day? When the departure time comes and you set off on your honeymoon, the realization sets in that you have no idea what happened during a good portion of your day, you want to rest assured that you have all those memories captured to relive over and over. There isn’t a doubt in my mind that Steven Bridges Photography can leave you with a peace of mind and a lifetime of wonderful memories! While there are all of the beautiful and elegant portraits there are always just funny moments that make the best stories and in this case, a picture is worth a thousand words! Congratulations Steven for winning Pro Print of the Week! Keep capturing all of those precious moments that make every little girls dream live on forever! Sometime in the month before Christmas, I got to spend some time talking to the wonderful ladies at Memories Portraits. We got into a discussion about how people (parents in particular) have different views about Santa and how they explain these to their children. It was interesting to hear different backgrounds and perspectives. 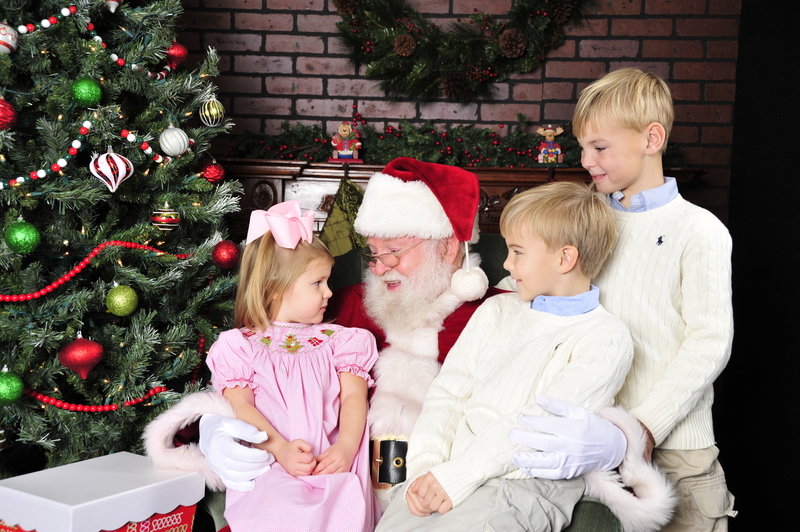 Some people don’t want their kids to “believe” in Santa because they see it as lying to their children. Some people don’t to put any emphasis on Santa because they may feel it takes away from the importance of the birth of Christ and the reason the holiday is celebrated. I intellectually understand both of these points of view and respect where they are coming from. I, however, was brought up in what I thought was the common practice of “believing” in Santa. I somewhat remember when I learned that the man in the red suit didn’t really come down my chimney and leave me presents on Christmas Eve, but it wasn’t like my world came crumbling down. I was about six years old and I found out from a friend. I don’t remember being mad at my parents. Actually, I don’t think I even told them I knew. 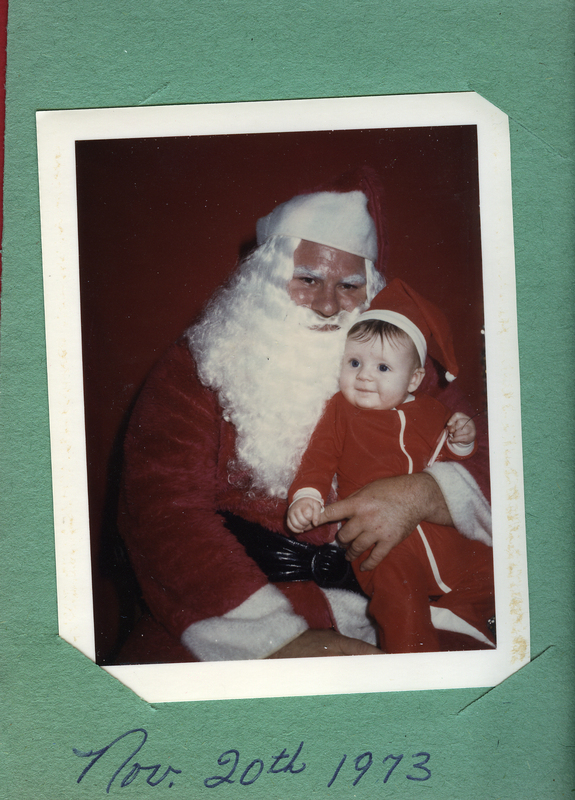 According to my Mom, as long as you still believed, Santa still came to see you. Now, what smart kid was going to screw that up, I ask you? I think about those things a lot now that I’m exposed to friends with different backgrounds and different ways of handling the situation. I love Christmas and I’ve come to realize that what I love about Santa is the spirit of Christmas that I relate to him. 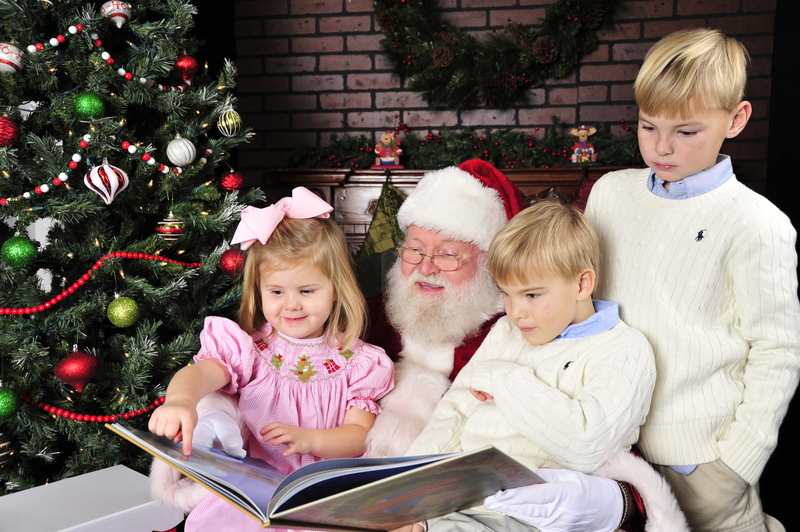 There is a great book called The Autobiography of Santa Claus that I highly recommend. 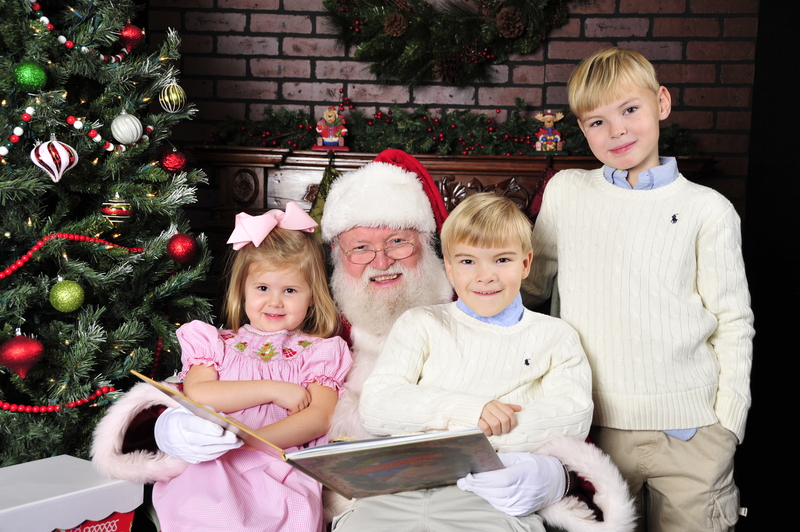 I realize all kids are different and respond to things in various ways, but I’m glad that my parents let me believe in Santa, the Tooth Fairy, and the Easter Bunny. When we were talking about our backgrounds with Santa, one of the ladies was telling me about her child asking for a hamster for Christmas. She did not want to get a hamster because it was one more animal for her to clean up after, but her daughter informed her that she would just ask Santa. So, she was faced with a dilemma and decided to give in and get the hamster. 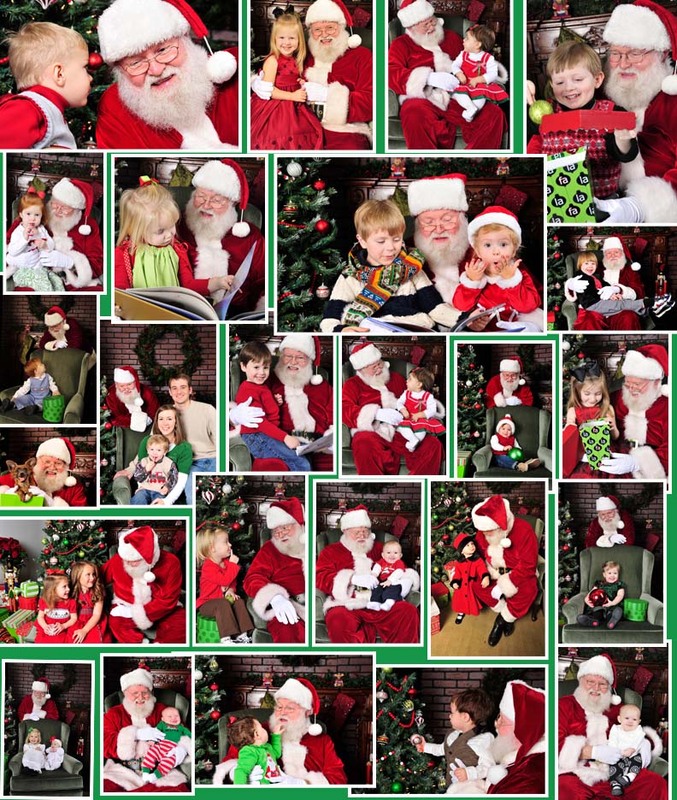 Inspired by this, I sat on Santa’s lap myself this year and gave him my wishlist for f/32…”a new building, a larger studio, a hot water heater that works,….” and well, you get the picture. He then gave me a wish list of his own (which also included a larger studio)! So, that didn’t pan out exactly as I thought it would, but I’m still holding out hope and clinging to my wishlist:). Did you know that on an average day in the US 10,657 babies are born?! That is 3,890,000 a year! That amazes me! A few of these babies are lucky enough to spend some time in front of the camera with our Pro Print of the Week winner, Jason Davis! 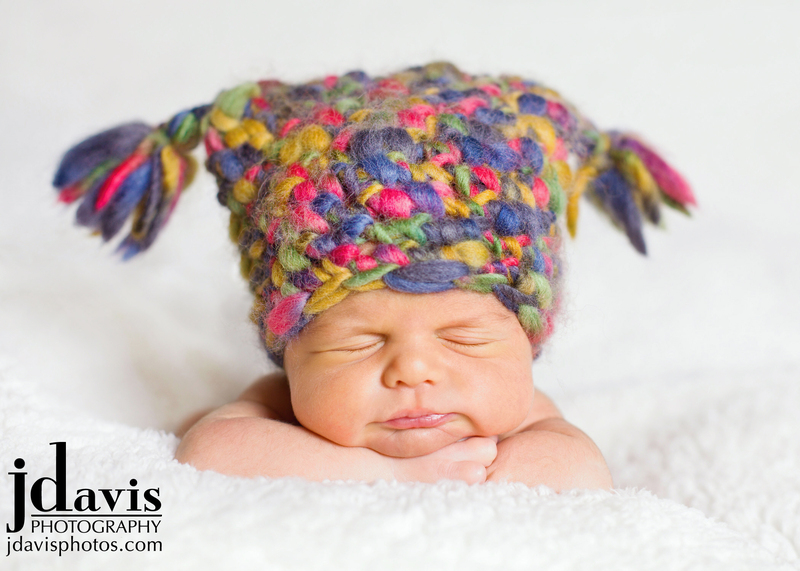 Newborn portraits are a memory treasured forever and there is no doubt that this one will be! Congratulations Jason Davis of J. Davis Photography! Keep sharing those special memories! So, the snow has caused a bit of a delay in our first Pro Print of the Week of 2011 but after finally escaping the snow globe we have been trapped in, here it is! Congratulations to Natalie Watson of Watson Studios for being the first winner of 2011! The originality and exceptional use of the surroundings make this portrait absolutely stunning! Thank you so much for sending us this print! We look forward to all the other prints that will be coming our way throughout 2011 and can’t wait to post 51 (approximately) more Pro Prints! So as always happy printing and good luck in 2011!